The decision seemed like a weird one. Quit one of the best jobs in radio and start writing down the voices I was hearing in my head. and a QR code marketing idea. 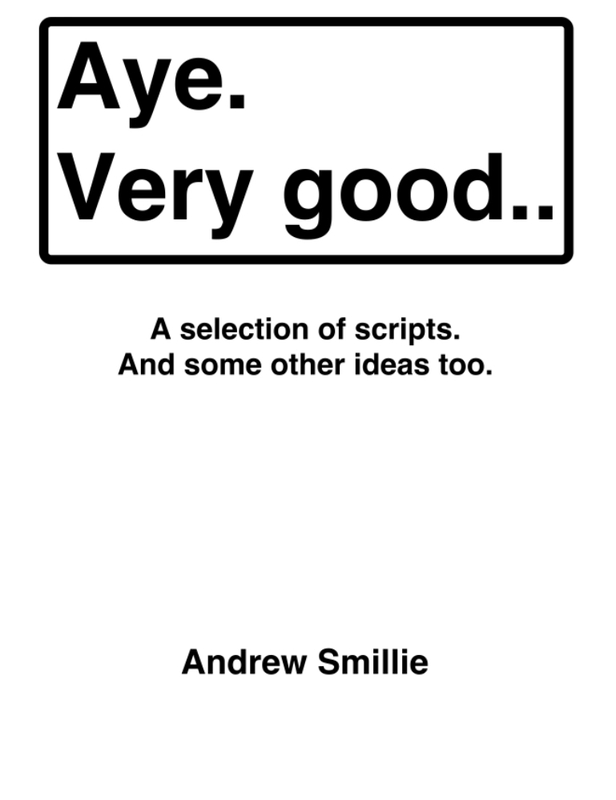 Which I made into an ebook that can be downloaded below. Enjoy! So we had another idea (there’s a theme developing here). What if you put a GoPro (camera) on a GT Aggressor (mountain bike) and bomb it down the biggest hill on Cumbrae and THEN edit in some facts about the island? You’d have a wee advert for the island wouldn’t you? So we had an idea. Dead simple one too. Let’s give visitors to Cumbrae two things: a way of interacting with the gorgeous landscape and some stories about the island. 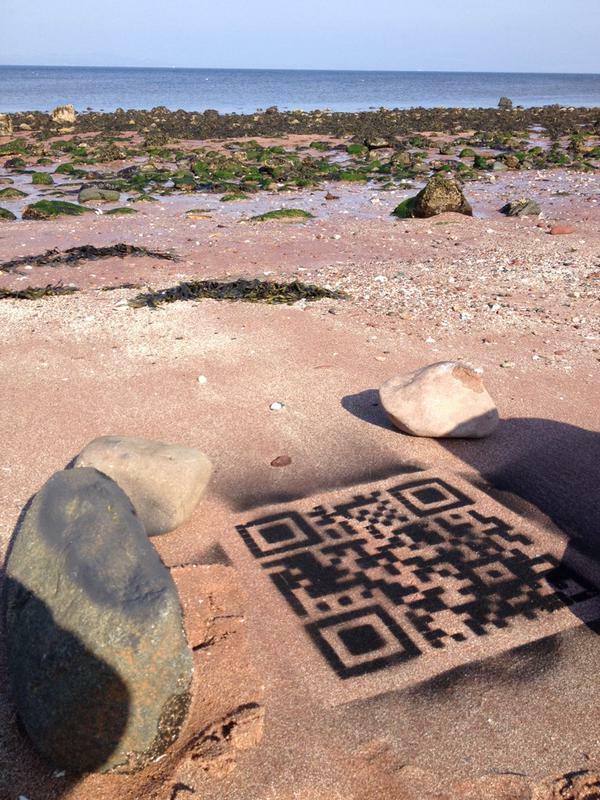 With that we created some QR Code stencils, chalked the QR’s onto some sand and decided to pop short audio clips about Millport’s famous bits online, to be accessed through the QR Codes. Visitors can hear about the islands famous bits while standing toe deep in warm sand. Which is always nice, isn’t it? Leave the authentication at ‘Off’. Go back to Wireless and select ‘Student’. You should get an authentication request. This should now allow you to access the WiFi System. Welcome to MAT, or Multilingual Audio Tour of the Ayr Campus. This tour will provide you, through your mobile device, an audio guide map of the building. To access the tour, first, select a language and then a floor. Individual rooms are shown here and floor plans for the entire campus are available here. To receive the best possible signal we recommend you access MAT via the campus WiFi system. For instructions on how to gain access to the WiFi system, simply click here. For further information on accessing the WiFi system see the ICT Department located on Level 4.